Google released its' new Social Media service called "Google+". It is a combination of other social medias, like Twitter and Diaspora, but it is most a straight copy of Facebook. First straight Facebook copy is Google+ "Circles", which is exactly the same as Facebook "Friends", although simpler and more visualized. 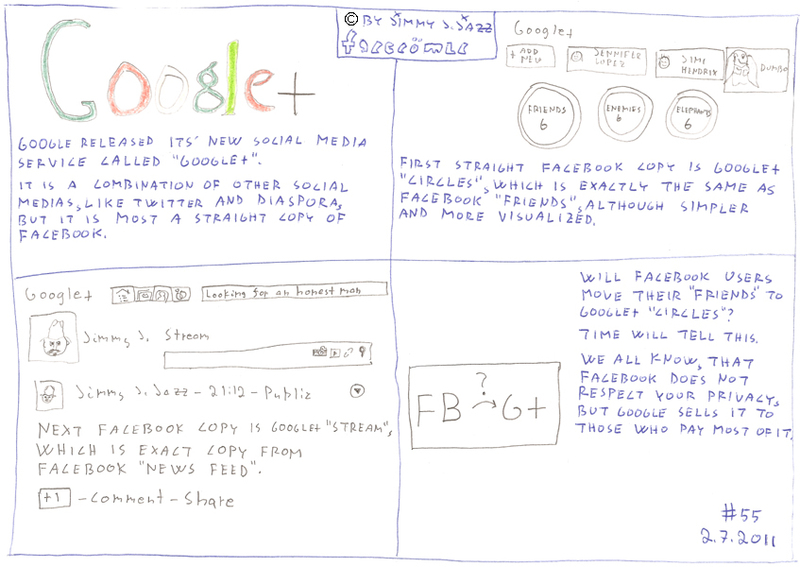 Next Facebook copy is Google+ "Stream", which is the exact copy from Facebook "News Feed". Will Facebook users move their "Friends" to Google+ "Circles"? We all know, that Facebook does not respect your privacy, but Google sells it to those who pay most of it.